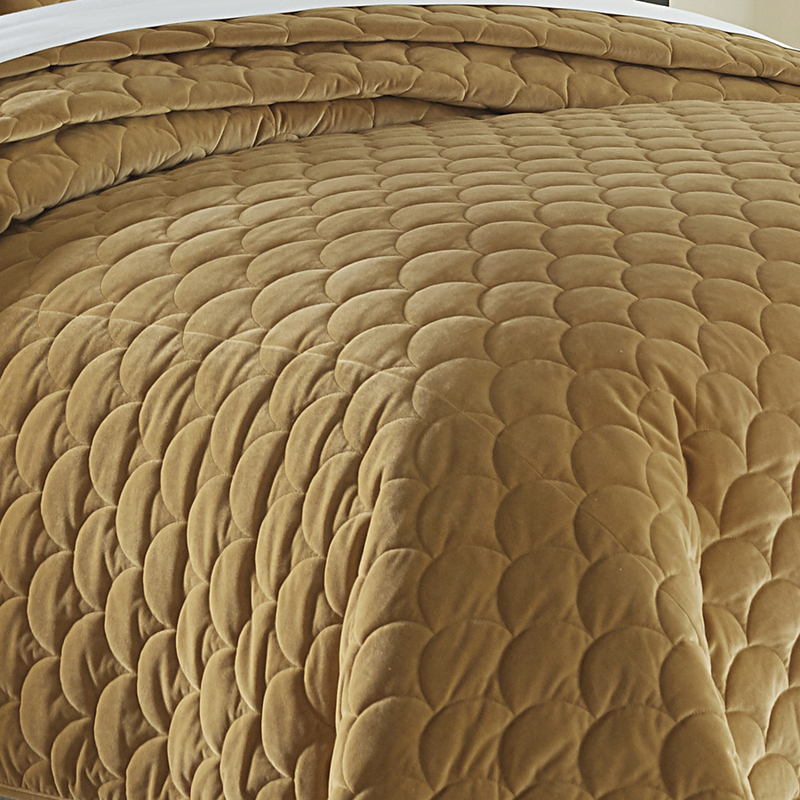 Luxurious texture galore! 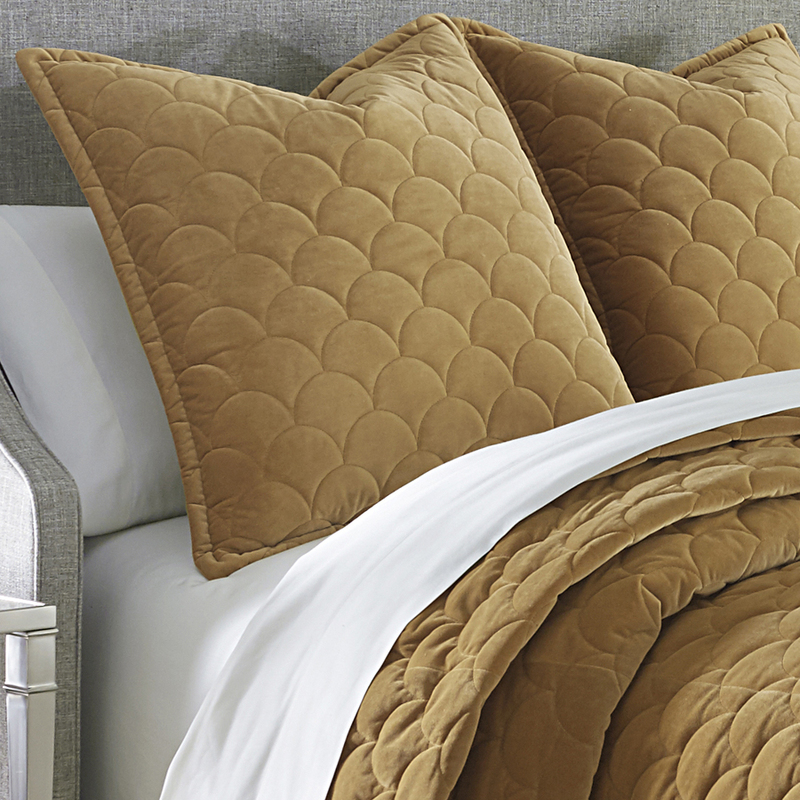 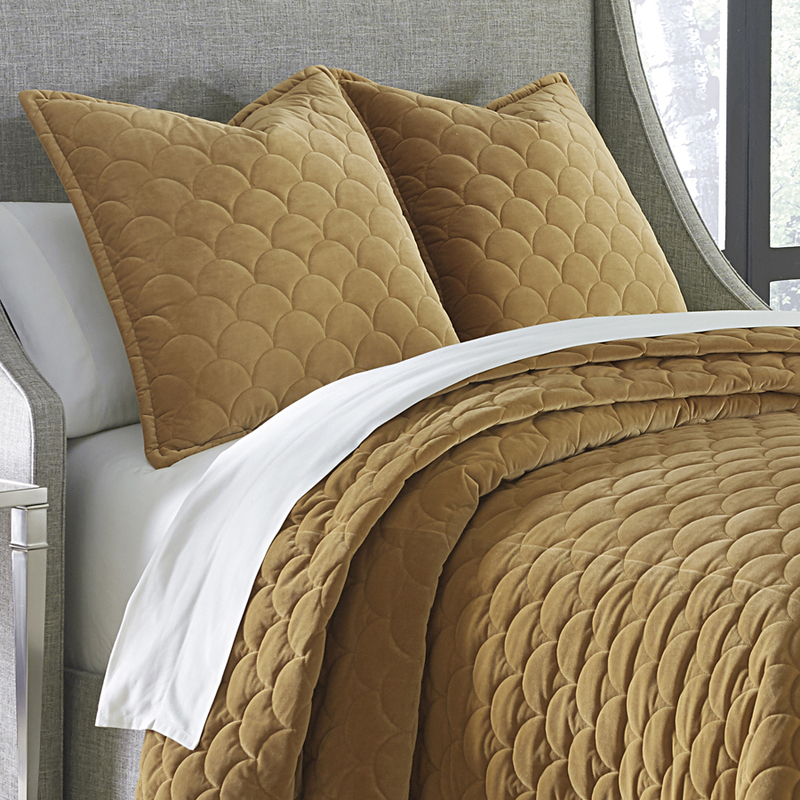 The Villanova 3 piece coverlet set features a beautiful warm gold color palette, a scalloped quilted design and clean tailoring. 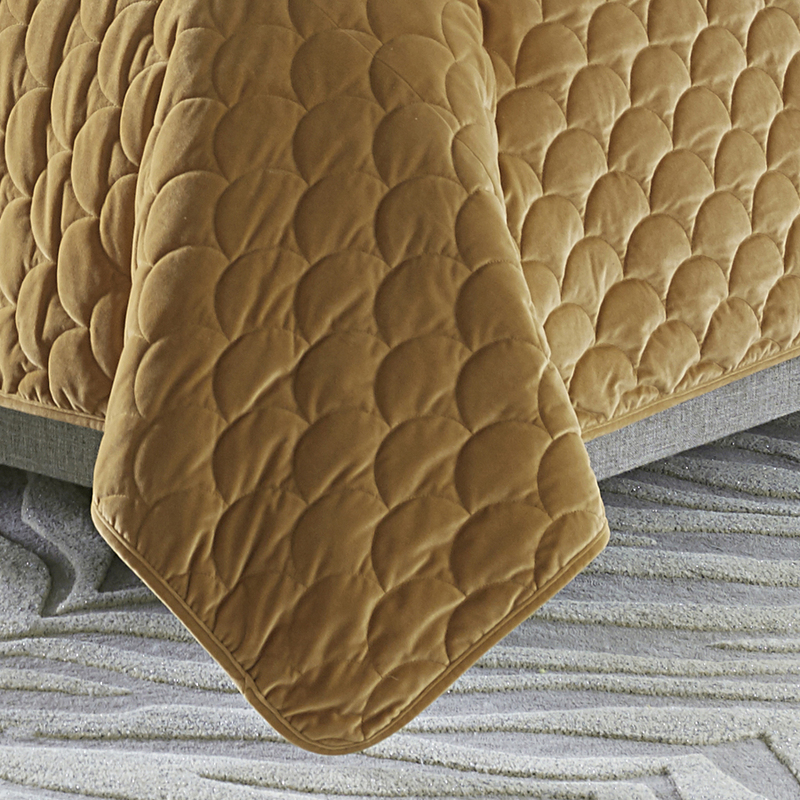 It can be used alone for simple styling or layered with other bedding accents for a designer look that is custom to your home. 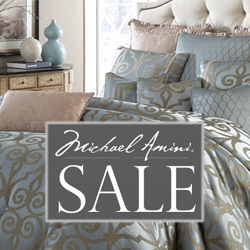 The Villanova bedding collection is an exclusive Michael Amini Signature Design by AICO. 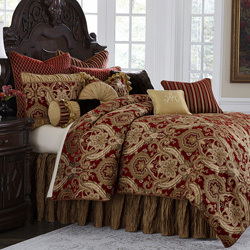 • The Michael Amini Villanova is considered a special order item.